Climate: The average year-round temperature is 83ºF (28ºC). The hottest months are normally September and October when the temperature can reach 90 to 95ºF (33 to 35ºC). The constant easterly trade winds temper the heat and keep life comfortable. 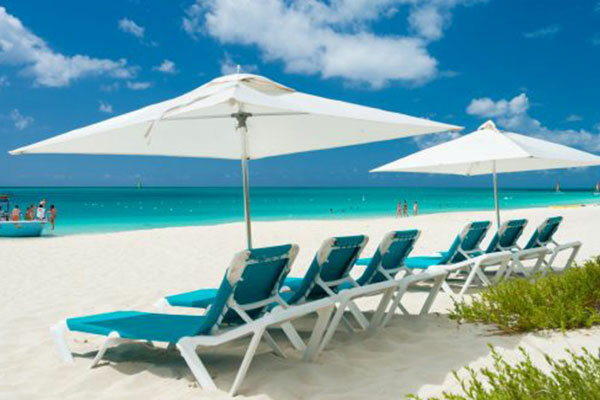 In an average year the Turks and Caicos has 350 days of sunshine. Population: The islands are home to roughly 30,000 full time residents, and welcome more than 200,000 tourists annually. Economy: The economy of the TCI relies upon tourism, real estate development, and off-shore banking services. Government: The Turks & Caicos Islands are a British Crown Colony. A Governor is appointed by the Queen and presides over an Executive Council formed by an elected local self-government. The legal system is based on English Common Law. Time Zone: Eastern Standard Time : Daylight Savings Time is observed from April to October. Crime: The people of the Turks and Caicos benefit from one of the lowest crime rates and highest crime-solved rates in the Caribbean. This 13-mile stretch of sand is the most popular in the Turks and Caicos. 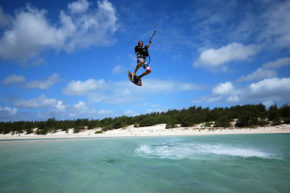 Most recently, Grace Bay Beach was named the No. 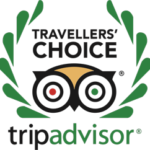 1 beach in the world in the 2018 TripAdvisor Travelers’ Choice Awards that are based on millions of traveler reviews. The beach is part of a national park and open to the public, but it’s lined with several hotels, like the Gansevoort and the Seven Stars Grace Bay Club. You could walk the whole length of the beach to get to the various restaurants and bars. It’s not difficult to see why the beach is so beloved. The sand is baby-powder soft, and the water is warm and shallow.Adults can walk out quite far and still keep their heads above water. Since there are no lifeguards, the swimmable area is mostly marked. Those who aren’t staying on the beach should look for public access points around Grace Bay Road. Sunset Beach Villas are only 200 meter walking distance form this gorgeous beach. The villas are located on the northern, less crowded end of Grace Bay Beach. 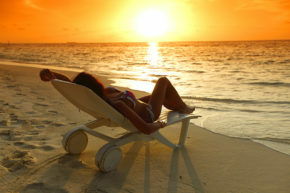 Please check out Sunset Beach Villas Investment Opportunity with income potential. Leeward is a 425-acre residential resort community on the northeast tip of Providenciales in the Turks & Caicos Islands. The northern shore, world famous Grace Bay Beach, is bordered by turquoise waters and is protected by a magnificent coral reef. Beyond the reef, a natural sea wall plummets 8,000 feet to the depths of the Atlantic Ocean, creating a dramatic contrast of deep blue water. Sunset each Villas is part of the Leeward Community. The Villas are 1.5 mile distance to Grace Bay Touristic Centre and 1 mile form Leeward Marina, located at Leeward-Going-Through-Channel on the east shore of the community. Leeward Marina, a deep-water eco-marina offers 130 slips, fuel and oil, water and electricity. This natural stepping stone to other Caribbean Islands will carry you out to the magnificent turquoise waters of the Caribbean Sea. Future plans include major additions to the existing Marina facility. InterHealth Canada developed, constructed and currently operates two hospitals in the Turks and Caicos Islands. They are responsible for the full design, build, equipping and maintenance of a 20 bed hospital on Providenciales and a 10 bed hospital on Grand Turk in addition to providing full commissioning and staffing to both facilities. The hospital has three Operating Theatres, Diagnostic Imaging including an MRI and CT scanner, LDRP Maternity Suites, a Dialysis Centre, Pathology and Blood Bank, Physiotherapy and Dentistry as well as visiting consultants for specialist clinics. 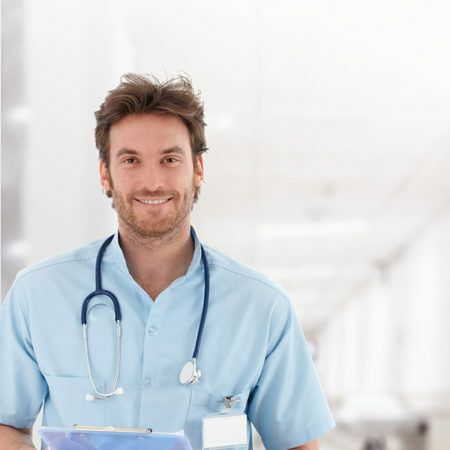 There is a scheduled visiting doctors program for cardiology, neurology, urology, renal medicine, ENT, ophthalmology and reconstructive (plastic) surgery. InterHealth Canada is proud to acknowledge that the TCI Hospitals received the highest rating of diamond from Accreditation Canada just two years after opening. 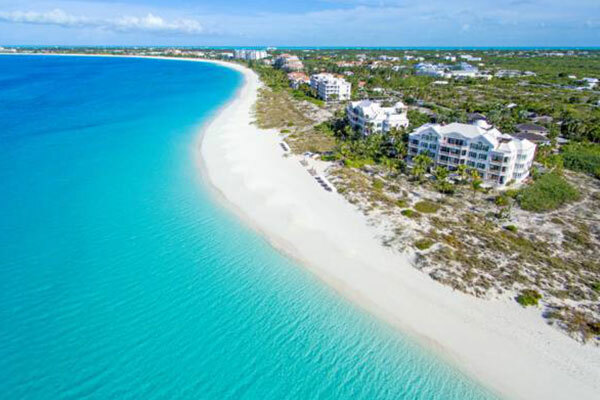 All buyers of real estate in the Turks and Caicos Islands have an appreciation of what these islands have to offer and the intrinsic value of real estate in this increasingly high-end Caribbean getaway. The currency is the US dollar and there are no exchange controls. Purchasers don’t have to worry about the stability of the local currency and the affect that might have on their investment. 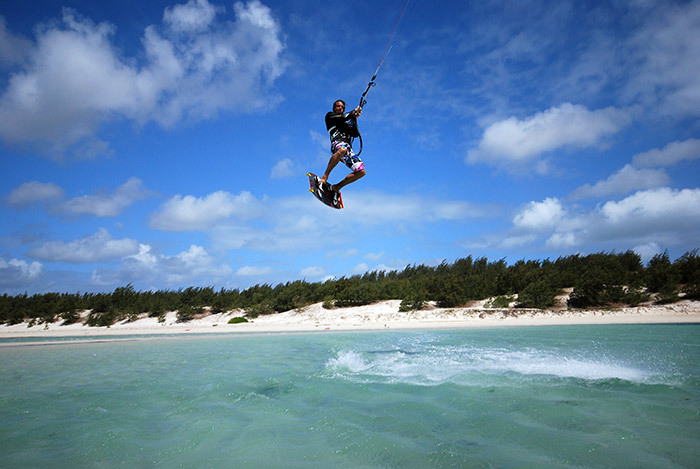 A purchaser can take title in his or her own name or in a Turks & Caicos company. 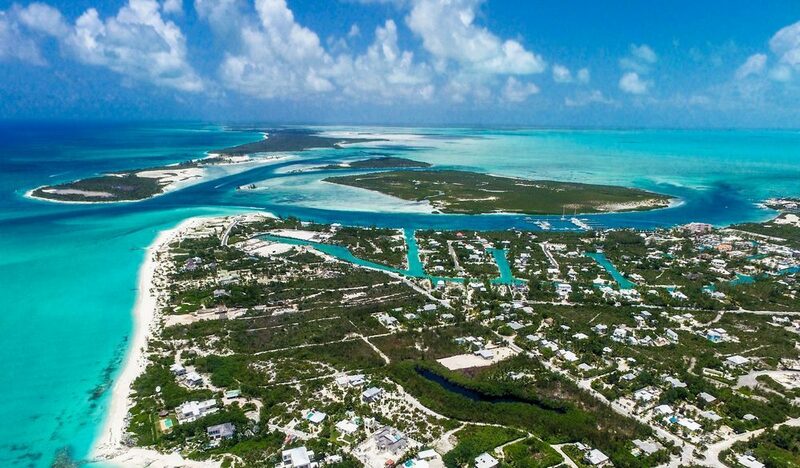 All land in the Turks & Caicos is legally registered meaning that the sales process is relatively straightforward and quick – i.e. a search at the Land Registry confirms ownership details, acreage and the presence or absence of charges. Please zoom in the map to see Sunset Beach Villas location in Providenciales.